Visa Processing – Navigating the Quirky Cases! Visa processing can be tricky business. Although IRCC has taken significant measures to streamline the process and make it easier for us to file applications online and through the various processing centres, inevitably efficiency of process runs into a wall…..for some of our clients, it can be a BRICK WALL. 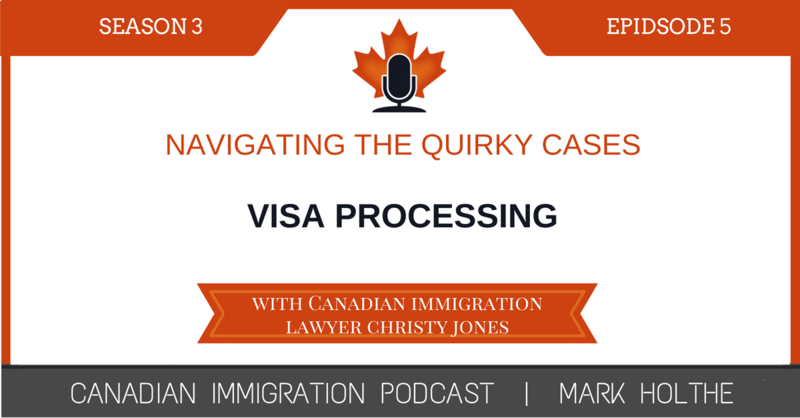 In this episode, Canadian immigration lawyer Christy Jones joins me to discuss some of the more challenging scenarios she has had to work through and together we share some strategies for helping you navigate those quirky cases we all seem to get from time to time. As a young immigration lawyer, the best decision I ever made was to join the Canadian Bar Association’s National Immigration section. Why? Because it is probably the most collegial group of professionals in the country. There was always someone willing to share their past experience dealing with tricky situations. This willingness to share gave me access to a wealth of experience that allowed me the ability to quickly climb the steep immigration learning curve essential to practicing in this ever changing area of the law. 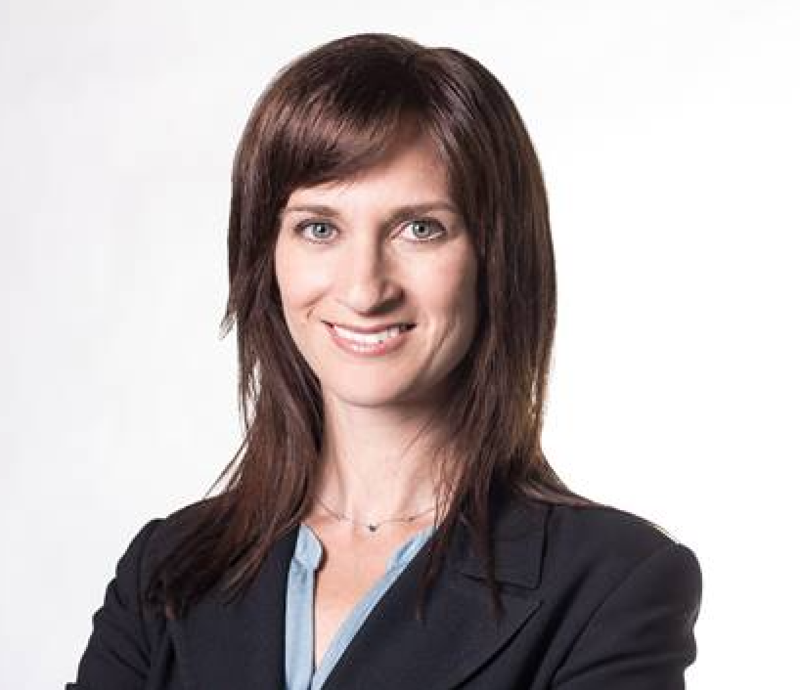 In this Episode of the Canadian Immigration Podcast, I was joined by immigration lawyer Christy Jones who practices out of her firm in Toronto, to share some insight on the world of visa processing from a practical perspective. Anyone can follow the IRCC guides and document checklists essential for filing a complete application. However, what do you do when things start to go off the rails and there is no instruction guide on how to deal with it? You call a trusted colleague to see if they have already experienced something similar. This episode is devoted to a number of case scenarios where Christy and I share our thoughts on how best to deal with them. 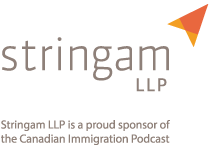 Our listeners will quickly discover that despite our many years of immigration practice, and our relatively consistent approach to most situations, there are times when our approaches to resolving an issue can be quite different. I guess this is what makes immigration so challenging, and yet so enjoyable….there is always more than one way to solve a problem. Scenario 1: Employee requiring a Work Permit, with one DUI is denied entry to Canada, and advised to seek a TRP through a visa office before attempting to re-enter. His intended position in Canada renders him eligible for expedited processing under the GSS. Scenario 2: A GSS eligible application is to be prepared under the intra company transfer (specialized knowledge) provisions, but is not terribly strong. 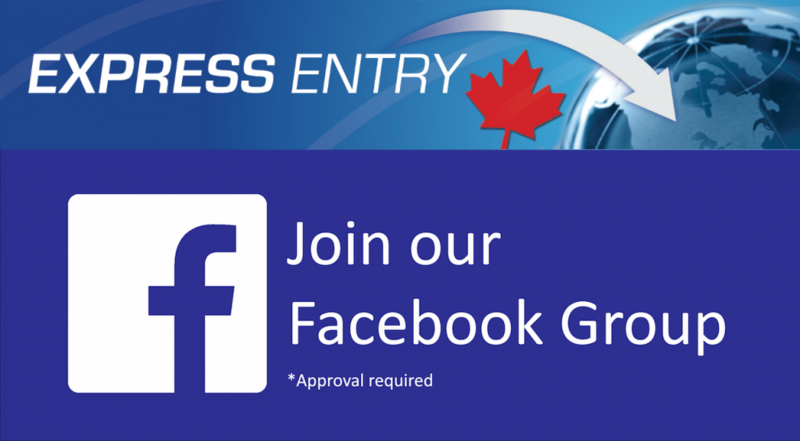 The applicant is visa exempt, but you are not sure whether an officer at the port of entry will agree with the specialized knowledge argument to be presented and the applicant has a long flight to Canada. You decide applying at the POE is too risky. Should you apply online to be processed under the GSS or submit the application to the IMWU for an opinion? Scenario 3: Applicant with a Work Permit approved under the GSS arrives at the port of entry. The work permit is issued indicating that a medical exam is required within 30 days, however the applicant had not resided in a designated country, and there was no medical conducted toward Work Permit approval. Scenario 4: An applicant eligible for a Work Permit exemption under the GSS is not issued a Visitor Record at the port of entry upon arrival.